Save Me From “Avatar”, Indy! Over Labor Day, I was watching Raiders of The Lost Ark for the first time in about a year. I always liked it but, as a kid, I was never on the Indiana Jones boat the way I was with Star Wars. However, being a proud owner of Raiders now (as well as the Temple of Doom and Last Crusade), it provides a lot of fun to watch as an adult. 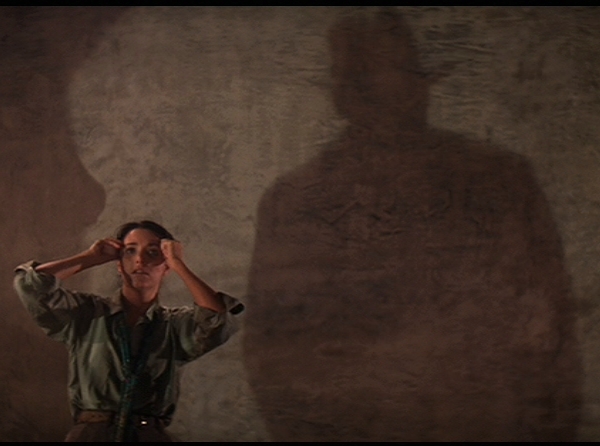 About 25 minutes into the film – specifically the scene where Indy first re-connects with Marion Ravenwood, and we see that giant shadow of him cast over Karen Allen – it hit me that part of the reason this film is still has staying power is because of its personality and charm. Then, I started thinking about most of the comparable big name epics that have come out in the last few years, and I could only think of the one everybody saw and still felt “meh” about: Avatar, James Cameron’s eternal “eff you” to the genre. As a fan of movies and as a writer, action/sci-fi had the biggest impact on me as a kid. For obvious reasons, I loved anything that involved a hero, a quest, and a cool fight scene. Also as a child, I was easily impressed by Star Wars and Superman: The Movie because it appealed to my basic sensibilities, and I knew of nothing else against which to compare it. These days though, I can see the more painful aspects of those films that critics love to deride, but still: Raiders is a movie I love from beginning to end, and it’s held up well over time. Why? Take a look at some of the basics: solid story and structure, good guys, bad guys, cool historical intrigue. Plus, there is the variable of Harrison Ford – whose performance is really what grounds Raiders. With Avatar, most of those same aspects are there, but Cameron was clearly more interested in the filmmaking process than the storytelling. That’s fine, because in order to move forward, someone always has to take a risk. But what always irked me about it was how clearly invested he was in the 3D. As a result, much of that film – for me – seemed cold and arbitrary. With as much energy as he put into the post-production end, I guess I wish I could have gotten more into it. And because of that, it bothers me that Avatar still went on to break so many box office records – and that its success may help define a new generational taste in my beloved genre. Thank God for Inception, a film that doesn’t make me lose hope quite yet. “Yet” being the key word.